Parents want their kids to be successful. Some parents strive to help their children have academic success. Other parents focus on helping their children have athletic success. Then there are parents who seek for their child to have financial success. And some parents want their children to have social success. These are all noteworthy purposes for parents to seek for their children. But the most important thing parents can desire for their children is spiritual success. The best success a child can have is to love God with all of their heart, mind and soul. There is success that is measured by human standards and then there is success that is measured by God's standards. Notice what type of success this verse talks about. It clarifies it as GOOD success. A person can be successful, but if the success doesn't include God, then it's not good success. A person can have financial success, but if they put their finances before God, then it's not good success. A child can grow up and have athletic success, perhaps even playing in the NBA, NFL, MLB or NHL, but if God is not in first place of their life, it's not good success. As children's ministry leaders, we have the opportunity to influence parents and help them see what Biblical success....GOOD success...looks like and map out how to get there. The verse is straightforward in mapping out the road to good success. So how can we help parents see what good success is? 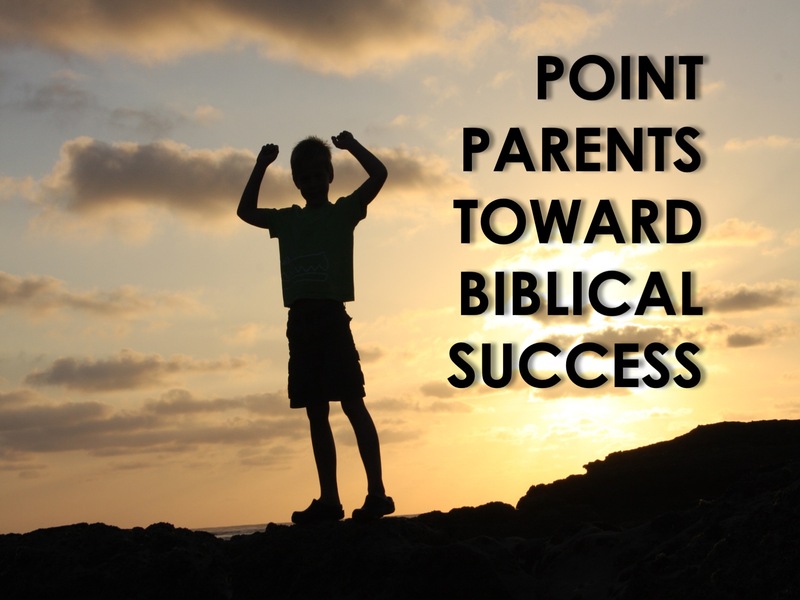 I believe if we will give parents a clear picture of Biblical success and the pathway to get there, they will respond. One of the most effective ways to come alongside parents is through milestone events. Let's get more specific. Milestones are times in a family's life when they are focused on spiritual success. I believe one of the biggest opportunities to point parents toward Biblical success is when they are DEDICATING THEIR CHILD TO GOD. And if we can help parents see what good success is, early in their child's life, they can get off to a great start in helping their children pursue good success. Child dedication opens the door for seeing clearly what good success is and for helping new parents lock into it. That's why I created the Child Dedication class. The class gives new parents the tools they need to help their children have good success. The curriculum includes everything you need to host the class. You can get more details and see samples at this link. If we can partner with parents when their children are young, we can set them up for success as parents and they can see their children grow up to love Jesus. But we have to take them there when their children are young. This will help them establish a solid foundation that good success can be built upon. What an awesome privilege we have to equip parents and help them see what good success will look like in their child's life.